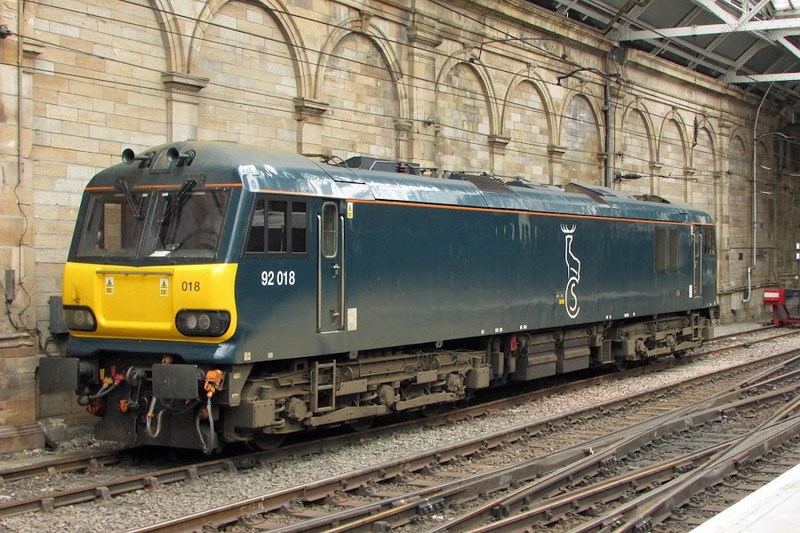 After about two years, 92018 is now about sorted out and performs on the Caledonian Sleeper. 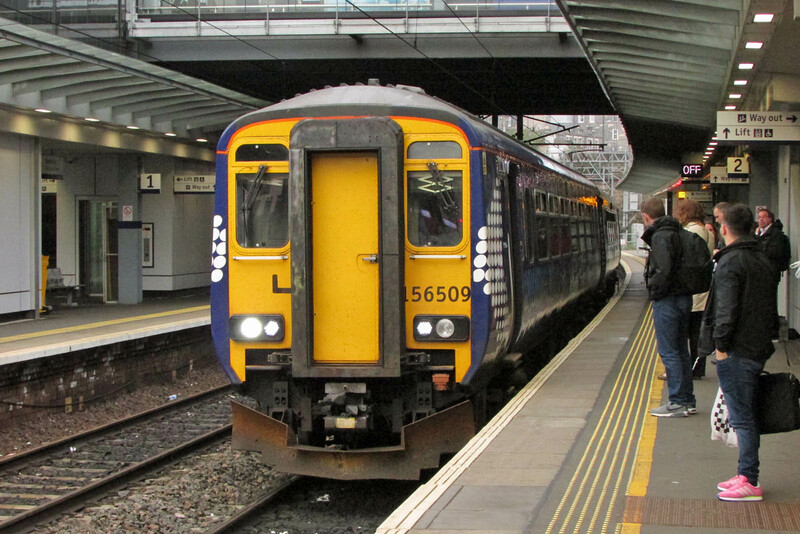 Seen laying over at Waverley, where the short east end platforms are no longer available for locos, as the full length platforms 5&6 are being reinstated. 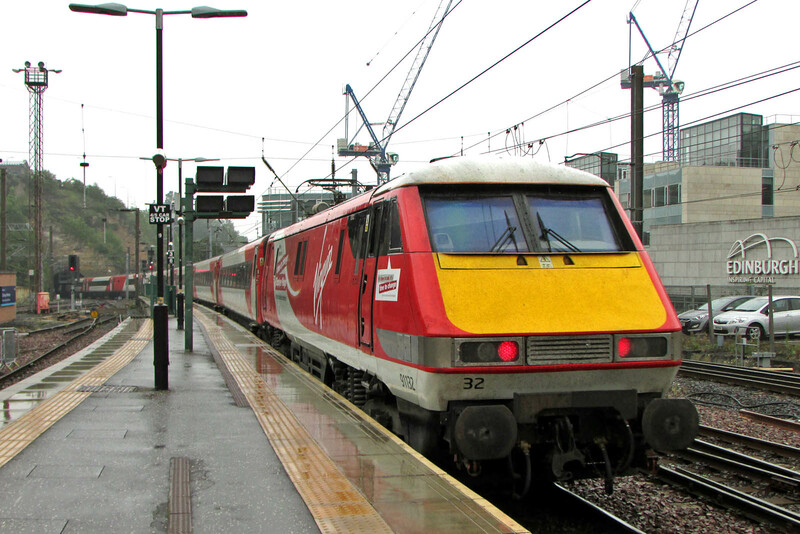 91132 departs on rear of 1E14 12:00 Edinburgh - Kings Cross. Platform 5 & 6 work on the left. 91121 arrives with 1S06 07:30 Kings Cross - Edinburgh. It is strange to think that the Class 91 + Mk 4 will be usurped by Azumas over the next year or so. 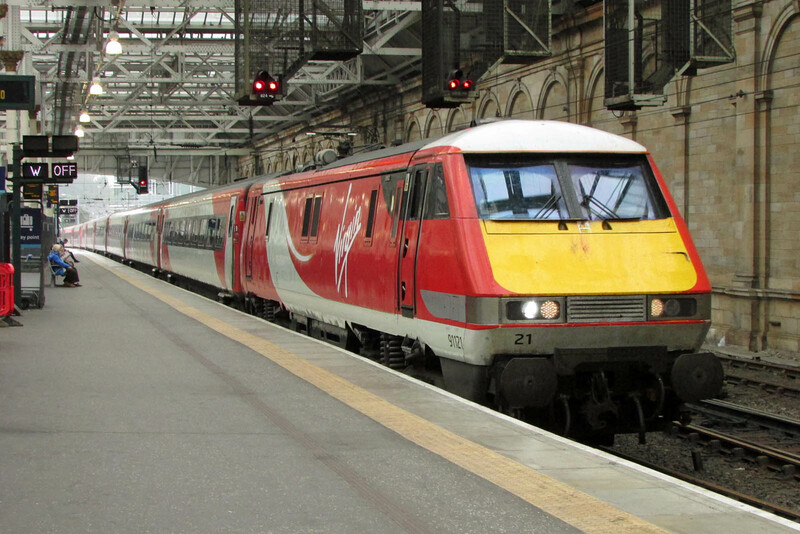 334037 at Haymarket with 2H48 18:48 Edinburgh Waverley - Helensburgh Central. 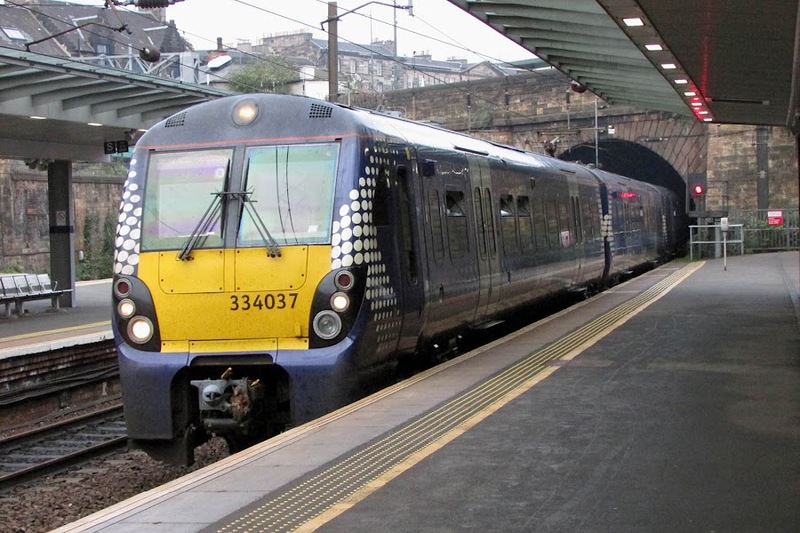 156509 arrives with 2K27 19:11 Edinburgh Waverley - Kirkcaldy.